In August 1939, prominent physicists Leó Szilárd and Eugene Wigner drafted the Einstein–Szilárd letter, which warned of the potential development of "extremely powerful bombs of a new type". It urged the United States to take steps to acquire stockpiles of uranium ore and accelerate the research of Enrico Fermi and others into nuclear chain reactions. They had it signed by Albert Einstein and delivered to President Franklin Roosevelt. Roosevelt called on Lyman Briggs of the National Bureau of Standards to head the Advisory Committee on Uranium to investigate the issues raised by the letter. Briggs held a meeting on 21 October 1939, which was attended by Szilárd, Wigner and Edward Teller. 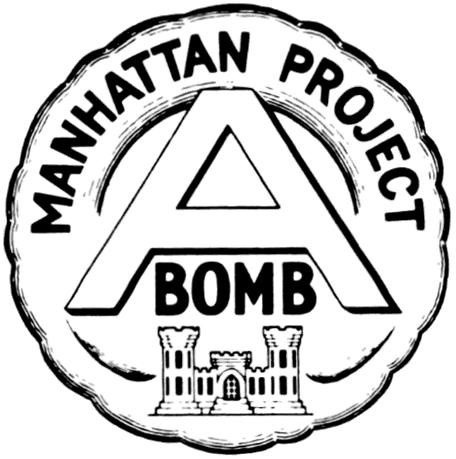 The committee reported back to Roosevelt in November that uranium "would provide a possible source of bombs with a destructiveness vastly greater than anything now known." President Roosevelt responded to the call for government support of uranium research quickly but cautiously. He appointed Lyman J. Briggs, director of the National Bureau of Standards, head of the Advisory Committee on Uranium, which met for the first time on October 21, 1939. The committee, including both civilian and military representation, was to coordinate its activities with Sachs and look into the current state of research on uranium to recommend an appropriate role for the federal government. 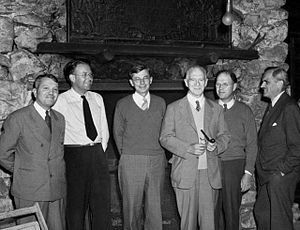 In early 1940 the Uranium Committee recommended that the government fund limited research on isotope separation as well as Fermi's and Szilard's work on chain reactions at Columbia.